An old one. 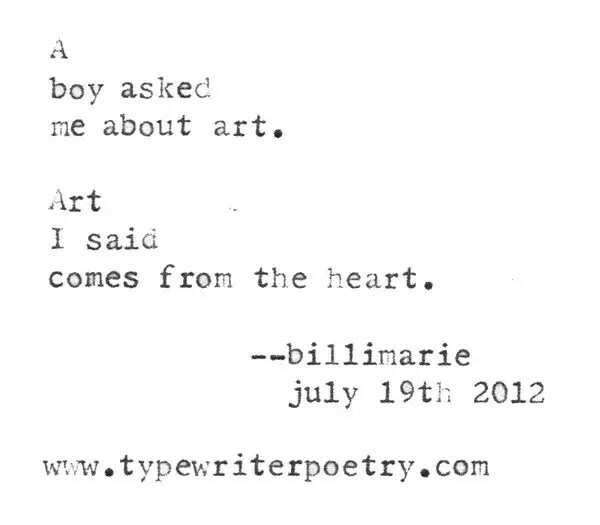 I can’t remember much about it; a child asked me “what is art?” and I came up with a non-answer in the form of a title and poem. That is beautiful! And quite possibly the best post title ever. It made me laugh out loud.